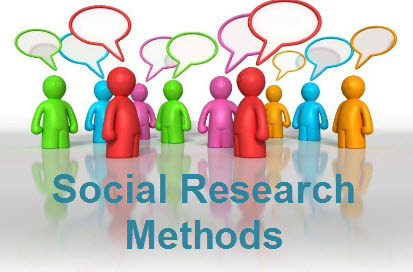 Research methods are a group of methodologies or formalized instructions on how to conduct research. Research methods provide a set of recipes for the scientist. In the social sciences, research methods are used to “tell about society” (Howard Becker, 1986). As a whole, research methods are designed so that scientists can identify patterns and relationships, test and redefine theories, make predictions, interpret culturally or historically significant events, explore diversity, give voice, and advance new theories. All research methods use a specialized language consisting of statements that explore relationships between variables. The first are qualitative methods, those based on descriptions or words and are often referred to as data enhancers. Qualitative methods usually study single subjects or small groups of people in great detail. Quantitative methods use numeric data and are often referred to as data condensers since they may examine many subjects. Statistical inferences require quantitative methods. Qualitative Methods- Research that investigates aspects of social life which are not amenable to quantitative measurement. Associated with a variety of theoretical perspectives, qualitative research uses a range of methods to focus on the meanings and interpretation of social phenomena and social processes in the particular contexts in which they occur. Quantitative Methods- Research involving the collection of data in numerical form for quantitative analysis. The numerical data can be durations, scores, counts of incidents, ratings, or scales. Quantitative data can be collected in either controlled or naturalistic environments, in laboratories or field studies, from special populations or from samples of the general population. The defining factor is that numbers result from the process, whether the initial data collection produced numerical values, or whether non-numerical values were subsequently converted to numbers as part of the analysis process, as in content analysis. Mixed Methods- The combined use of both quantitative and qualitative methodologies within the same study in order to address a single research question.